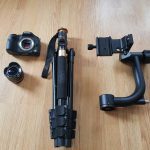 The Garmin VIRB 360 has received a $50 price cut on Amazon. This is no doubt in response to the recent announcement of the GoPro Fusion, a similar 360 camera and likely the main rival to the VIRB. The VIRB 360 shoots 5.7K 360 video, the highest of any consumer 360 camera. It’s also waterproof and shockproof with stabilization. I personally own this camera and I think it’s the best for 360 video. 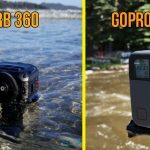 GoPro Fusion vs Garmin VIRB 360 - Which is the best 360 Action Camera?